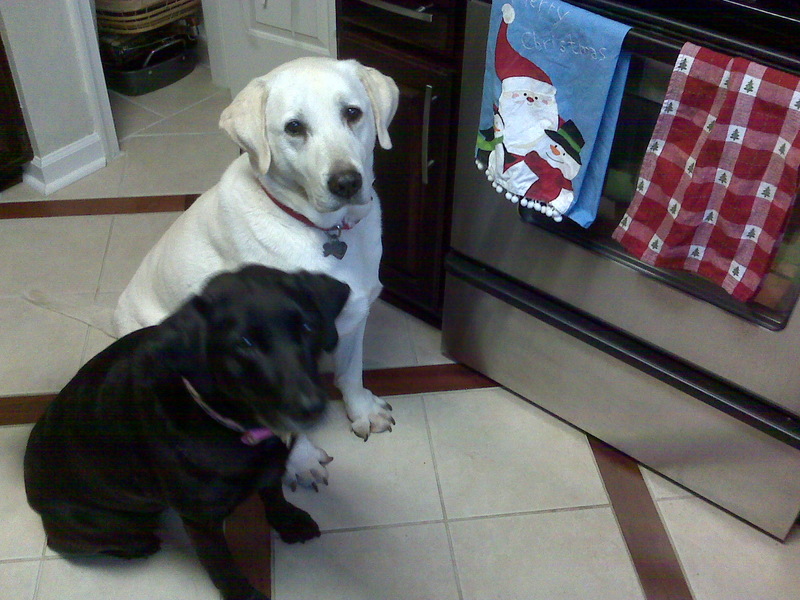 If you’ve never had the joy of owning a lab, let me explain their fondness for eating anything and everything they can get their grubby little paws on. My in-laws still proudly talk about their “grandpups” devouring an entire watermelon, rind and all. 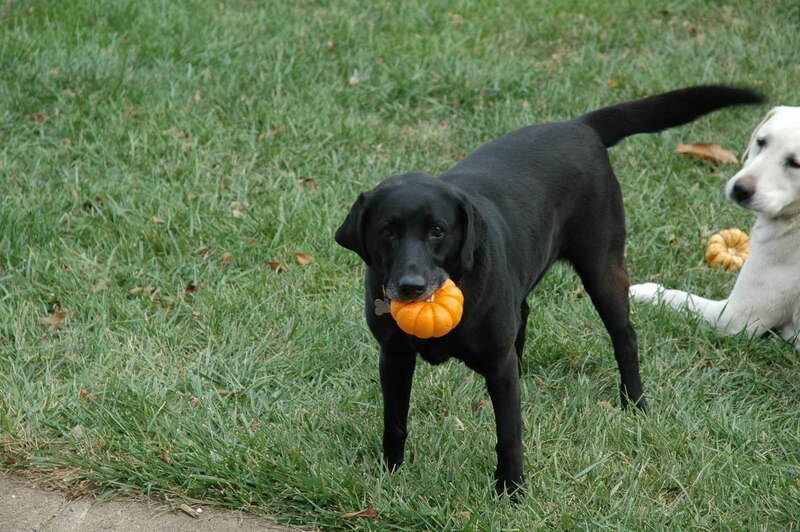 So it should come as no surprise that Sadie, our 9 year old black lab, ate what we could only assume was chicken scented styrofoam smuggled from the trash based on the “evidence”. This isn’t our first rodeo with a sickly lab, so I went straight to the BRAT diet, cooking up chicken broth infused white rice. I knew something was very wrong when she didn’t want anything to do with it, so after a scary trip to the PetER, prayers, testing, an IV, prodding, 2 bottles of medication and 4 hours later… we were instructed to revert to Plan B; lowfat cottage cheese and rice + pills after fasting for 24 hrs. I asked the husband to stop at Wegman’s on his way home from work and pick up a large low-fat cottage cheese to remedy “the situation”. To his credit he doesn’t usually venture to the grocery on his own, and yes Wegman’s branding on their products looks similar…however, that doesn’t change the fact that Fat Free Sour Cream is NOT a valid substitute for cottage cheese. So now I have a sick, hungry dog and a quart of sour cream. Sadie groans at my feet. I refuse to waste food, so when the husband accidentally gets me sour cream, I lovingly decide to create something with it. Luckily I also had 2 excuses to bake; a bakesale fundraiser for Rainbow Therapeutic Riding and my father-in-laws birthday visit. 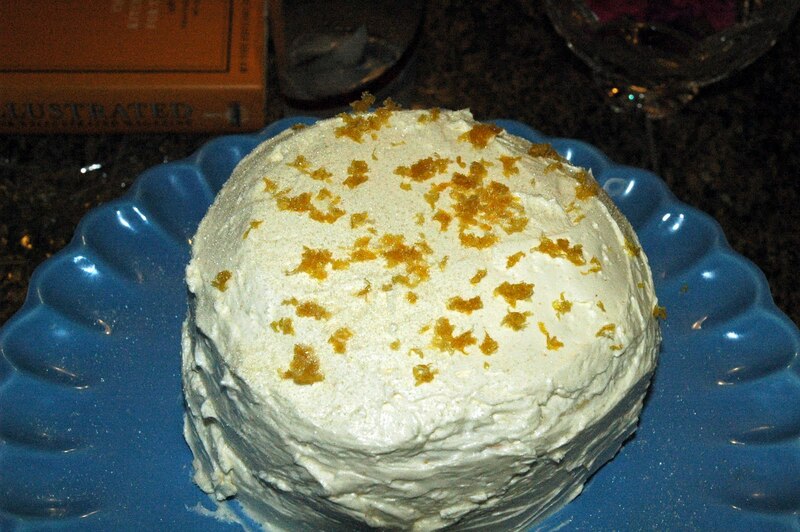 *I borrowed ideas and parts of recipes like the yellow cake recipe from “Baking Illustrated” by the Editors of Cook’s Illustrated and America’s Test Kitchen to create this. Frosting must be made about 6 hours ahead of time. Adjust oven rack to lower-middle position and preheat to 350 degrees. Spray 2 mini 6″ pans (or you could try doubling the recipe and do two 8″ or 9″ pans). 1/4 tsp. baking soda at the lowest speed to blend, about 30 seconds. Stop the mixer and add the egg/sour cream mixture from the small bowl. Mix at the lowest speed until incorporated, 5-10 seconds. Increase the speed to medium-high and beat until light and fluffy, about 1 minute. Stop the mixer, scrap the sides and bottom of the bowl with a spatula. Beat until thoroughly combined. 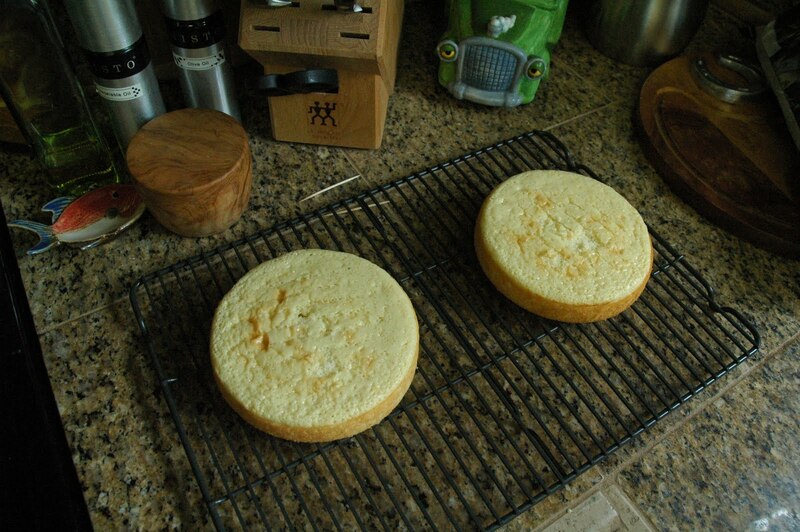 Divide the batter evenly between the 2 cake pans; spread to the sides of the pan and smooth with rubber spatula. 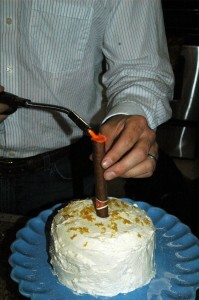 Bake until tops of cake are light golden and a toothpick inserted into the center comes out clean, about 15-20 minutes. After cooling on a rack for 10 minutes, run a knife around the pan to loosen, invert on a plate and flip back onto the rack. Cool completely before frosting. Combine in the bowl of a standing mixer; set the bowl over a saucepan of barely simmering water, making sure the water does not touch the bottom of the bowl. Whisk constantly until the mixture is opaque and warm to the touch and is 120 degrees on a thermometer (about 2 minutes). (Just note 120 degrees is may not be hot enough to kill any bacteria in the eggs). Beat the whites at medium-high speed until barely warm, glossy and stickey, about 7 minutes. Reduce speed to medium and beat in butter one piece at a time. Beat in the lemon juice, scrape down the sides and bottom, beat again about a minute. Now I know it looks like a big curdled mess, but please please trust me and cover the bowl with plastic wrap and set aside at room temp. for up to 6 hours. 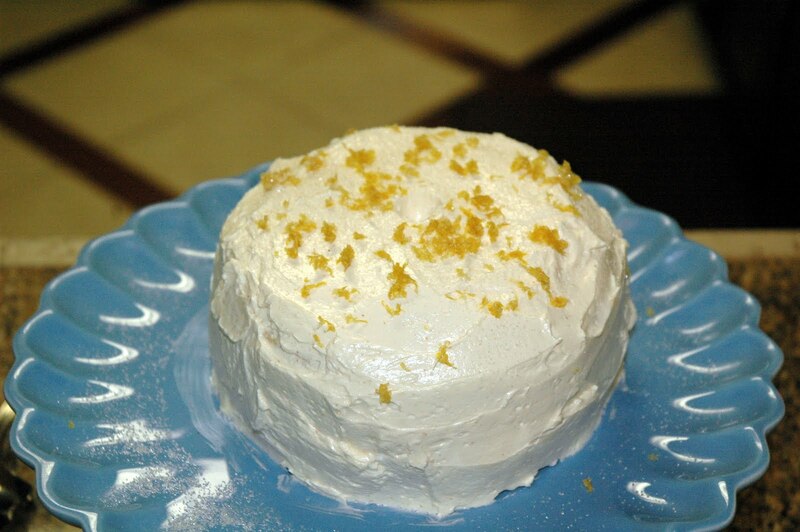 We make this frosting a lot and for the first 4 times I thought there is no way THAT cottage cheese curdled mess will whip into anything….but it always does : ). il you achieve the consistency you want. Put a dab of buttercream on the plate, put one layer of cake down, dollop a bunch of lucsious buttercream in the center and use a rubber spatula or frosting spreader to spread evenly and over the sides, add your other layer and repeat. On a cutting board, zest 2 more lemons and put about 2 tablespoons of organic cane sugar on top, use your knife to mush all together into a yummy, crusty lemon sugar. Sprinkle this all over your cake…. And if it’s your father-in-laws birthday, stick a Romeo & Juliet right in the center, fire it up and TA-DA! Makes about 2½ dozen cookies. Use a cookie scoop to place about a dozen cookies on stainless steel cookie sheet. Bake about 14 minutes or until the edges and bottom begin to crisp.